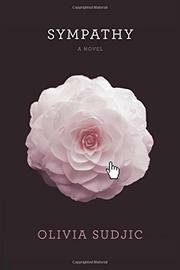 A first-time novelist considers identity and obsession in the digital age. Alice Hare is no longer quite herself—not that she ever had much of a self to begin with. Having been abandoned by her father, she has no one but her mother, a woman who is possessive, secretive, and manipulative. As she tries to piece together her own history, Alice becomes fixated on the period of her life she and her parents spent in Japan. A baby at the time, she has no memories of this sojourn, so she's free to invent. Eventually, this attempt to fabricate an identity turns into an intense fascination with the author Mizuko Himura, whom Alice comes to know in real life after stalking her via social media. This would make a great premise for a thriller, but it’s quite evident Sudjic has more literary ambitions. The result is a story that's hard to follow even though it moves at an incredibly slow pace. One difficulty is that it moves around in time, and disparate episodes don’t build on each other so much as they expose how much the reader doesn’t know. This might make stylistic sense for a novel about a young woman tortured by the lacunae in her own life, but it’s dissatisfying and disorienting. For example, the novel begins with Alice being shut out by Mizuko, and then it shifts into a long stretch dominated by letters from Alice’s paternal grandmother. We learn about Alice’s gap year in Japan after she graduated from university, and her momentous first evening with Mizuko happens without any description of how and why Alice became infatuated with her. Another example: Alice makes passing mention of her “boyfriend at that time,” which comes as a shock since this is not only the first we’re hearing of a romantic entanglement of any kind in her life ever, but it’s also the first hint that she’s made any new relationships at all since her move from England to New York. It doesn’t help that Alice’s real-world connection to Mizuko relies on a preposterous series of coincidences. An intriguing premise delivered in turgid prose.